The Thomas Gillman Fowler home just outside of Jonesville, SC was built circa 1840. From records found in the family bible, Elijah T. Fowler was born August 13, 1830 — a son of Thomas Gillman Fowler and Susannah Hames. He may be one of the young boys in the photograph above. Elijah was a student in 1850 living at home with his parents and siblings. The family lived beside Godfrey and Nannie Kelly Fowler, Elijah’s grandparents, and Milligan and Coleman Fowler, Elijah’s uncles. By 1860, Elijah Fowler had married his cousin, Mary Jane Moseley, daughter of Daniel Moseley and Biddy LNU. Daniel was the son of John Baxter Moseley and Henrietta Fowler, daughter of Henry Ellis Fowler. Elijah and Jane lived next door to his parents Thomas and Susannah Hames Fowler. William Littlejohn lived in the household as well. In June of 1870, Elijah and Mary Jane Moseley Fowler and their three daughters lived in Draytonville, Union County, SC next to his brother Gassaway Fowler and family. Ellis Fowler (son of Ellis Fowler b. 1770 and Mary) lived nearby with his wife Sarah “Sally” Clark and their family. Elijah Fowler and his family had moved to Jonesville, SC by September 21, 1870 and were living next to Mary’s brother Damon Moseley and his family. Why was the ELIJAH T.FOWLER family counted twice in census records in 1870? Sometime between June 23 and September 21, the family moved from Draytonville to nearby Jonesville. Gassaway Josephine and Francis “Fanny” Fowler stayed the same age, but Susan Bettie had a birthday on September 7, making her a year older. The Elijah Fowler family had moved back to Draytonville, SC by 1880. They were living near Ellis and Sarah Clark Fowler and other related Fowler families. Elijah and Mary’s daughter Gassaway Josephine “Josie” Fowler married Dr. Thomas Lee circa 1886. Their first child, Mary, was born in Alabama in 1888, followed by son Joshua in 1892 in Alabama, and son Thomas in Oklahoma in 1897. Thomas and Josie Fowler Lee and their family lived in Indian Territory, Chickasaw Nation (Oklahoma) in 1900. Josie’s father and mother, Elijah and Mary Jane Moseley Fowler were also in the household. The census record states that Mary Jane Fowler had 10 children during her marriage, but only the three daughters, Josie, Susan Bettie, and Francis, were ever counted in census records. Elijah Fowler died on February 16, 1908, and Mary Jane Moseley Fowler died January 13, 1918. 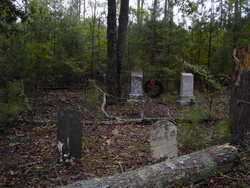 They are buried in the Childersburg Cemetery, Talladega County, Alabama. As stated above, Elijah and Mary Jane’s daughter Gassaway Josephine Fowler married Dr. Thomas Lee. It must be mentioned that their oldest son, Joshua Bryan Lee (1892-1967), was both a senator and a representative in Congress. Joshua Lee was born in Childersburg, Alabama, but the family moved to Paul’s Valley, Indian Territory when he was three years old. They moved again in 1901 to Hobart, and then near Rocky, Oklahoma. He graduated from the University of Oklahoma in 1917, receiving a masters degree in political science in 1924 from Columbia University. He went on to earn an LL.B. degree from Cumberland University of Tennessee in 1925. Joshua Lee served overseas in France in the U.S. Army as a private in World War I in 1917-1918. He was a successful author, public speaker, lawyer, and rancher. He married Louise Gerlach and had two children.